As ever, the most important source of funding for the European steel industry is the Research Fund for Coal and Steel (RFCS). Established in 2002 as the successor of the European Coal and Steel Community (ECSC), this research fund largely follows the rules of the EU’s Framework Programme. The BFI has been actively involved in shaping future activities through its work in different committees. Many of the Institute’s employees are registered in the EU’s databases as experts on different topics and are regularly asked to give their opinion on specific matters. Within the scope of Horizon 2020 (the EU Commission’s eighth Framework Programme for Research & Innovation), and especially the public-private partnership SPIRE, the process industry has found a platform for initiating research themes that take special account of the interests and requirements of the associated industrial sectors. SPIRE is the acronym for Sustainable Process Industry through Resource and Energy Efficiency. The BFI is not only a founding member of A.SPIRE, but is also involved in advising the European Commission through Prof. Sievering in his capacity as deputy leader of the Working Group PROCESS and as a member of the Partnership’s Board. 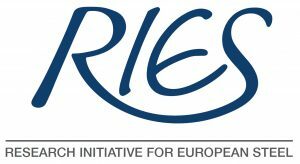 In 2011 the BFI and three other European research institutes (CRM in Belgium, CSM in Italy and SWEREA MEFOS in Sweden) set up the Research Initiative for European Steel (RIES). This is a virtual network of highly competent steel research establishments which pools the complementary research skills of these organisations. The European Steel Technology Platform (ESTEP) brings together all the important actors in European steel research. Members include not only the major steel producers but also many universities and research establishments engaged in research on aspects of steel. The BFI is represented in the following working groups where it plays an active role in shaping the work of ESTEP: Support Group, Working Group Profit, Working Group Plant, Working Group “Integrated Intelligent Manufacturing (I2M)”. The last of these is devoted to issues relating to Industry 4.0 and Prof. Peters has chaired this working group for approximately two years. Within the scope of the AIF, and especially in the field of industrial cooperative research, BFI employees have been appointed as experts to various consultative groups. BFI is a founding member of the Zuse-Gemeinschaft, a Germany-wide association representing independent non-profit industrial research institutes, which play an indispensable role in the German research landscape. Several months ago, Prof. Sievering was appointed to the governing body of the Zuse-Gemeinschaft. In the Research & Innovation platform of the Federal Ministry for Economic Affairs and Energy (BMWi) in Germany, Prof. Sievering is involved in the research network “Energy Industry and Trades“ where he coordinates the research area “Iron and Steel”. Our shareholder, the Steel Institute VDEh, runs a number of highly active committees which organise and coordinate collaborative technical and scientific work throughout the steel industry. In addition to steel producers, plant and equipment manufacturers and many suppliers to the steel industry and a variety of research institutes are represented in the different committees. The BFI plays an active role in many of these bodies (>20) by co-drafting guidelines, presenting the results of its own research activities and recording the research needs and wishes of the industry. In this organisation, the BFI has been represented for 15 years by Prof. Peters as a member of Technical Committee 6.2 “Automation in Mining, Mineral and Metal Processing” where he acts as a consultant on publications submitted for the annual conferences as well as a co-organiser of these conferences. The latest IFAC MMM Symposium in Vienna took place in 2016, with Prof. Peters supporting Prof. Kugi in organisational matters. At this same event, he delivered one of the 3 keynote speeches entitled “Application of Industry 4.0 concepts at steel production from an applied research perspective”. Over the years, BFI staff members have been appointed as lecturers colleges and universities. Currently, Prof. Sievering teaches engineering design at the University of Dortmund and Prof. Peters lectures on “Data Mining in industrial environments” as part of the degree course in automation technology at RWTH Aachen. These teaching activities also create opportunities for students to work on their bachelor’s or master’s dissertation as part of national or international research projects being conducted at the BFI. Possibilities to supervise doctoral theses also exist.